Whether handling the ball on offense or hounding it on defense, Vangelis Mantzaris of Olympiacos Piraeus has been an integral part of his team's success since joining the Reds in 2011. 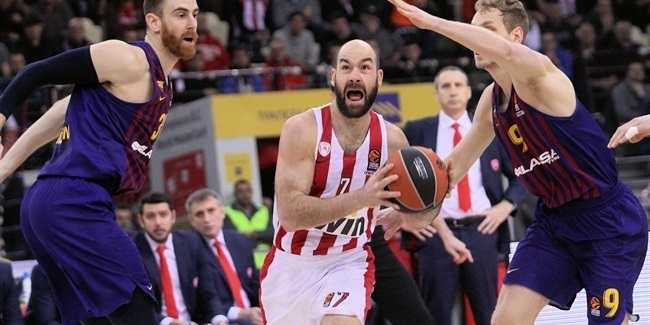 In four seasons, Mantzaris has started 81 of 89 games for Olympiacos and at just 25 years old, is already a two-time Euroleague champion and part of an exclusive club of back-to-back Final Four winners. 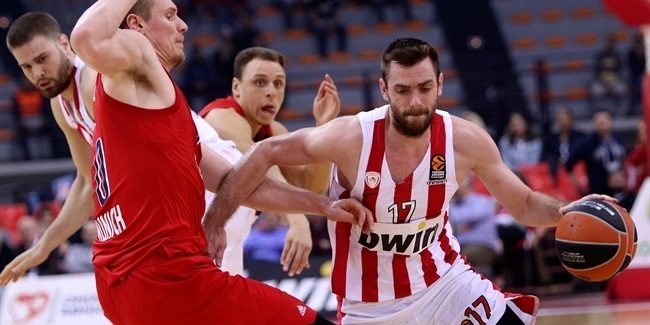 Mantzaris's arrival on the Euroleague stage was long expected. He came up through Peristeri Athens and debuted with its senior team as a 17-year old. He spent summers on Greek youth national teams that won four European and World Championships medals. 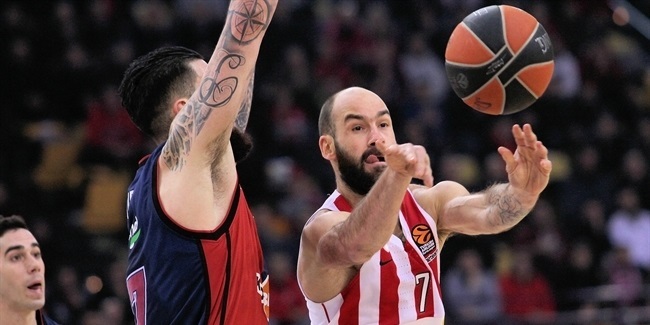 As a Euroleague rookie, Mantzaris took on major responsibility for Olympiacos, playing the third-most minutes for his team at the 2012 Final Four as the Reds won their first Euroleague crown this century. After starting the first 15 games of the following season, a knee injury caused Mantzaris to miss the team's successful title repeat at the 2013 Final Four, but he was back at full strength the next fall and has now started 51 consecutive Euroleague games for the Reds. Considered among the Euroleague's best ball-hawks, Mantzaris wears the role of unsung hero on the Reds' fearsome defense as a badge of honor. At the same time, he is among the safest ball-handlers in the competition, ranking fourth in assist-to-turnover ratio among all Euroleague players during his four seasons. His particular genius happens between the free throw lines, where Mantzaris is a safe-handed facilitator for the Olympiacos offense and also prevents opposing teams from getting comfortably into scoring mode themselves. Mantzaris isn't known for scoring, but when he does put in points, his timing is often perfect. In this season's playoffs, he was deadly from three-point range, hitting 9 of 10 shots against FC Barcelona. Those were the second-most three-point strikes by anyone in the playoffs, and included four without a miss in the Reds' key Game 2 road win, and three more during the second-half rally in series-clinching Game 4. In Madrid, Mantzaris will be gunning for a third Euroleague title, which would make him one of the youngest-ever three-time champions in European basketball history.